The World Owl Trust in Cumbria was one of my inspirations to commence with World of Owls, I was originally mentored by Tony Warburton MBE who became a close friend. 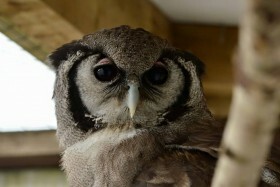 The trust is undergoing a complete overhaul and relocation; we at World of Owls had been asked to help in the interim. World of Owls has now one of the most diverse collections of owls in the UK & Ireland. We now have species of owls never seen before in Ireland.